If you can't tell by now, I like chèvre. Well, all goat milk cheese, really. I might even call myself a converter -- one of those annoying people who talks about a single food item like it's the greatest thing since pizza. I think I can say I'm the same way about avocado. Don't even bring up avocados to me at a party (unless you want to hear about all of my avocado toast exploits). I've made cheesecakes out of chèvre, piled it up on sandwiches -- both OG and open faced --, spread it on savory scones, and Shelly of Vegetarian Ventures even did a guest post here where she put it in popsicles. And this week is about to get even more goaty what with some Kefir Custards later this week. I know, you never even knew you liked goat stuff this much. YA WELCOME. And you like sour cherries, right? Because it's about to get aaaaaall sour cherried up in here. If you've been following my instagram, you've probably seen photos of all of the cherries I picked and pitted and jammed and spread on toast in the past two weeks. Well all of that bright red, tart happiness is gonna be all over the blog coming up. Hooplah! Add some jalapeños to this and you are SET for an evening of pretending to watch basketball with your dood friends. P.s. This serves one hungry person. Add all ingredients -- except scallion garnish -- to the bowl of a food processor or blender. Blend until creamy (about 20 seconds). 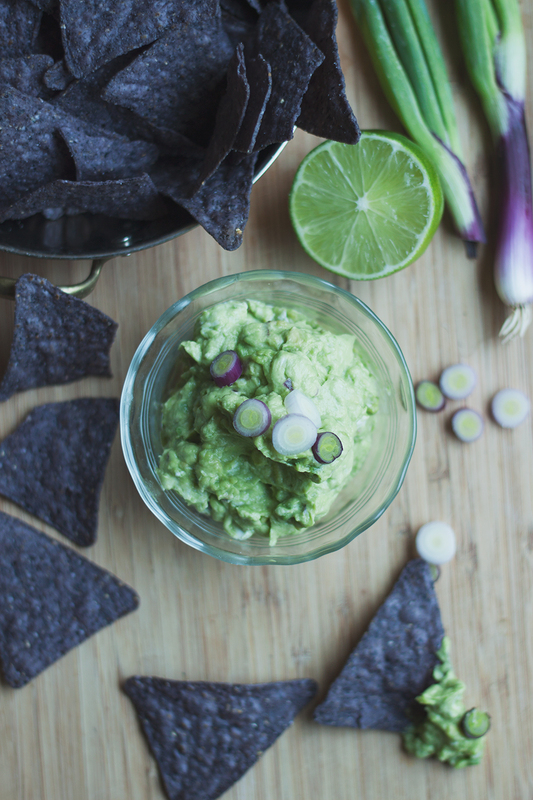 Eat with blue tortilla chips (why not? ).